One of my daughter’s favorite activity at her school is the ‘Creative Writer’s Workshop’. Every week they go through a process where the students pick a topic they’re familiar with and write a book about it. I had the pleasure of reading her books at the school’s Open House. 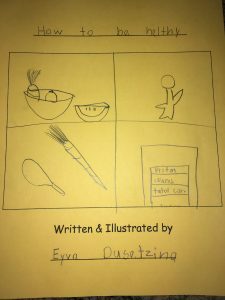 This particular one, How to be Healthy, caught my eye and made one mama proud. Children are incredibly observant and easily absorb information. I am touched that my passion resonated with her and wanted to write about it. Not a tomato fan, but she is at least willing to try it when I put tomatoes on her plate! 1 to 11 grams of sugar is OK.
12g to 10million grams is NOT OK! 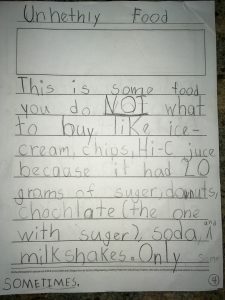 Coincidentally, the recommended daily limit of added sugars for 4 to 8 yr old children is about 12g. I asked her if she knew this to be a fact and she was impressed she guessed correctly. For women, the American Heart Association sets the limit to 25g. 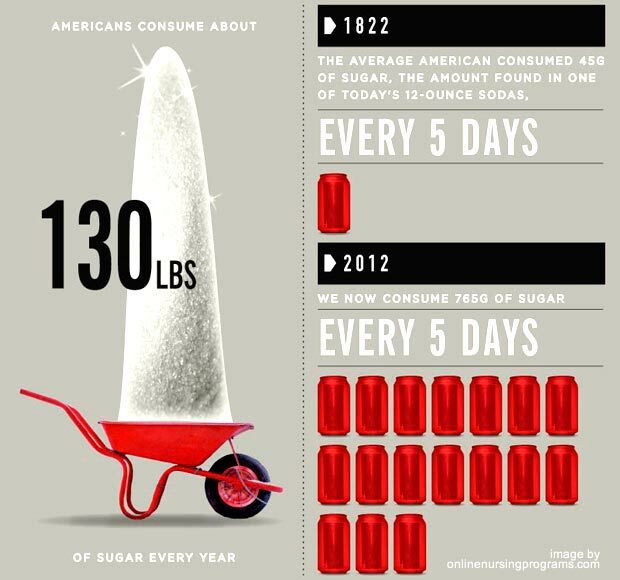 Unfortunately, the US population is consuming WAY TOO MUCH SUGAR!!! I was part of this population until I started to have health issues as you may have already in a previous post about being ‘Skinny Fat’. 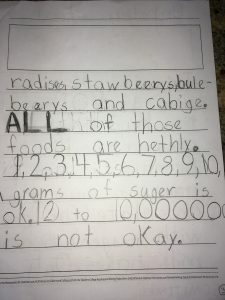 I’m not sure if her friends like it, but at lunchtime, she would take her friends’ juice and check the label to find out how much sugar is in it. And I love how she’s realistic to mention that she can have these types of food SOMETIMES. Ha! 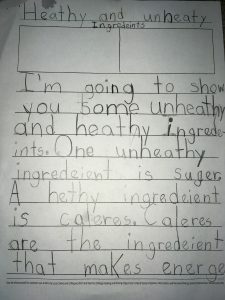 I let her know ‘Calorie’ is not an ingredient but she had an idea it is somewhat related to energy. What are your thoughts on sugar intake? 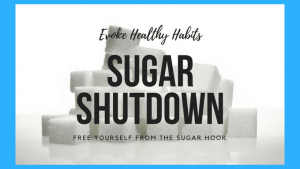 Do you know how much sugar you consume each day? Previous postThe skinny on Skinny Fat. Is this you? This is so cute. I don’t remember ever thinking about being healthy when I was her age. As a kid we ate a lot of sugar. Now I try to reserve it for special occasions. I don’t keep junk food in the house. I do eat dessert in a restaurant and reward myself with ice cream after a long run. This is great! 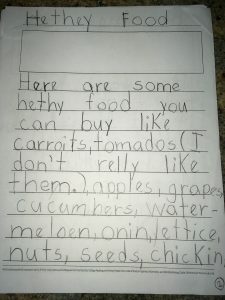 Your daughter certainly has a solid grasp on nutrition! Sounds like someone is listening to mama! Very nice! This is too adorable! I love how she knows what protein is and how much sugar she should be eating! 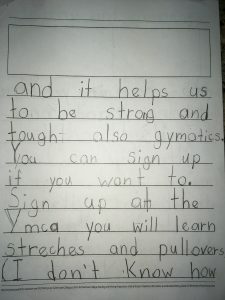 This is adorable and smart kid! 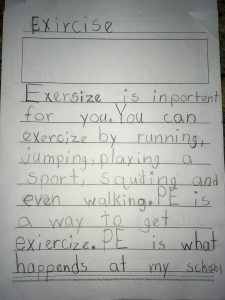 She already knows more about being healthy than most adults! What a great perspective. Often times we forgot to consider what the younger generations think and feel, but sometimes their messages can be just as if not more powerful than a similar message shared by adults. She’s so savage ahahah I love it! It’s amazing to see how aware she is about her sugar intake! Omgosh! I am so delighted to come across this post! It put a huge smile on my face! 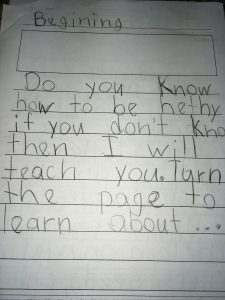 What a great theme to write on and so precious—from the content, to the writing. this is so impressive and adorable! 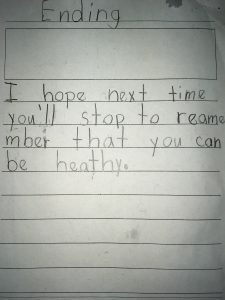 I certainly didn’t know how to be healthy when I was 7! I am not sure how much sugar I have per day. I don’t add sugar to anything in any case. I eat fruit, quite some, so that will have natural sugars. There are always those hidden sugars out there too, like in milk (though I don’t drink cow’s milk generally anymore, but I do eat plain non-fat yoghurt so it could be in there). I eat bread but not a lot. I eat rice and pasta but I guess there is no sugar in those. Occasionally I drink a beer or a wine or even a cocktail and there is obviously sugar in those I think I do pretty ok. I very rarely drink a soda. What do you think? Do I need to join the group? Thanks Renee! You’re more than welcome to join the group. It’s worth a try. But we are focusing on drinks and snacks. I’ll send you a private message. Yes they know how to speak their minds!